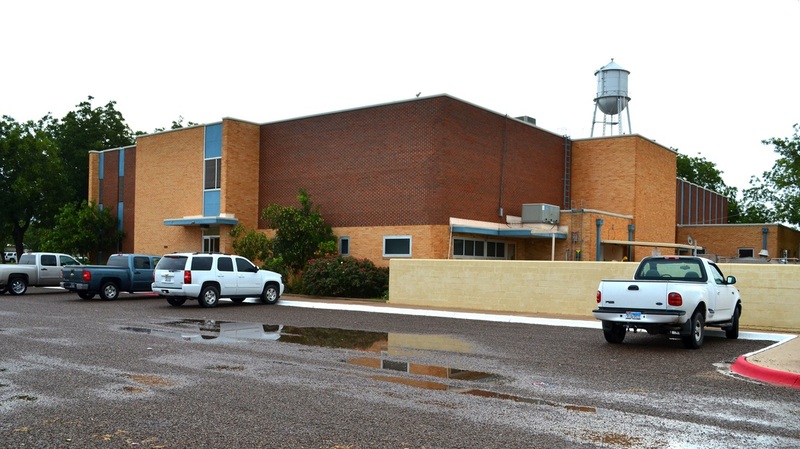 "Crane County was formed in 1887 from land previously assigned to Tom Green County the same year, but for many years the area's scant rainfall deterred settlement. In 1890 only fifteen people lived in Crane County; as late as 1900 the United States census enumerated only fifty-one people and twelve ranches in the county. 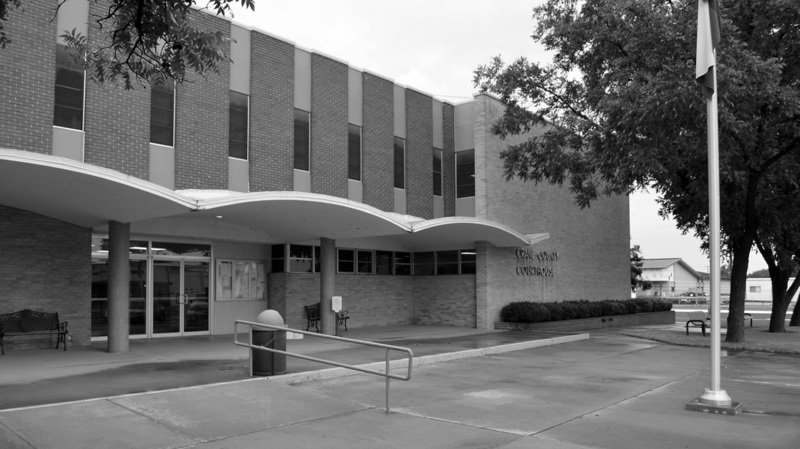 "It was named for William Cary Crane, a president of Baylor University. 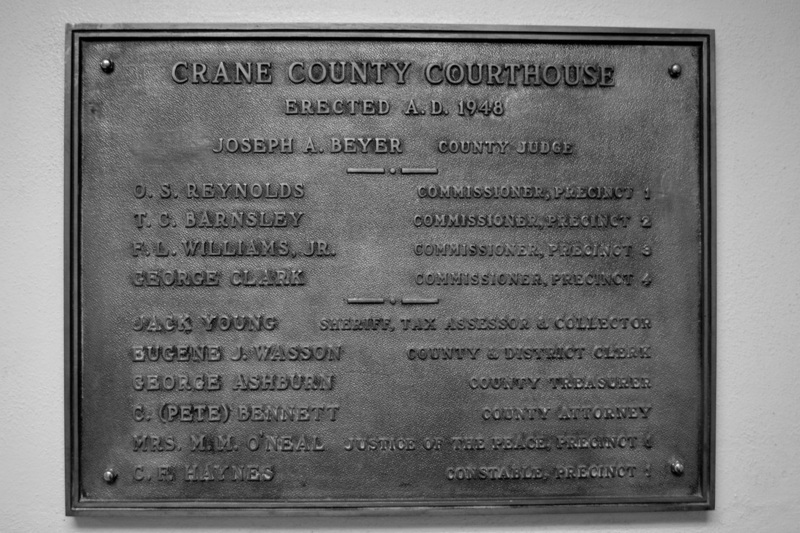 "The county seems to have experienced a brief burst of settlement during the first years of the twentieth century; Crane, the future county seat, became a post office in 1908, while census figures show that in 1910 there were seventy-one farms or ranches in the county, and that the population by that year had risen to 331. 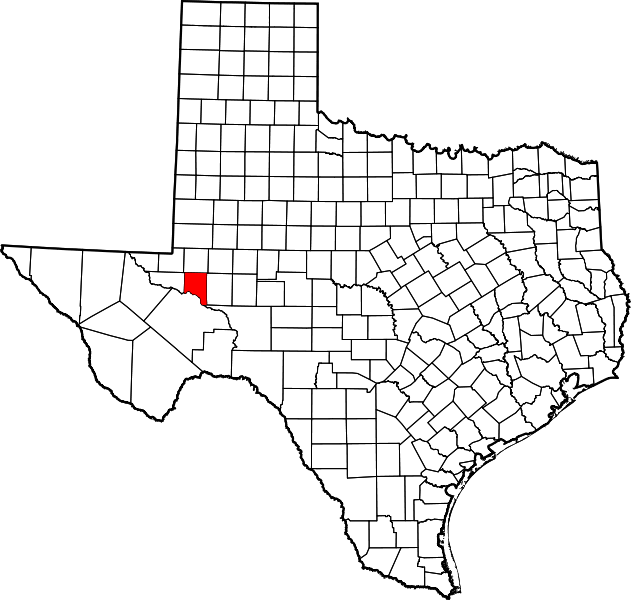 "The area only began to develop after oil was discovered in the county in 1926, when an oil boom attracted thousands to the county. O. C. Kinnison opened a realty office and platted a townsite for Crane, where he named the streets for his daughters and sons. 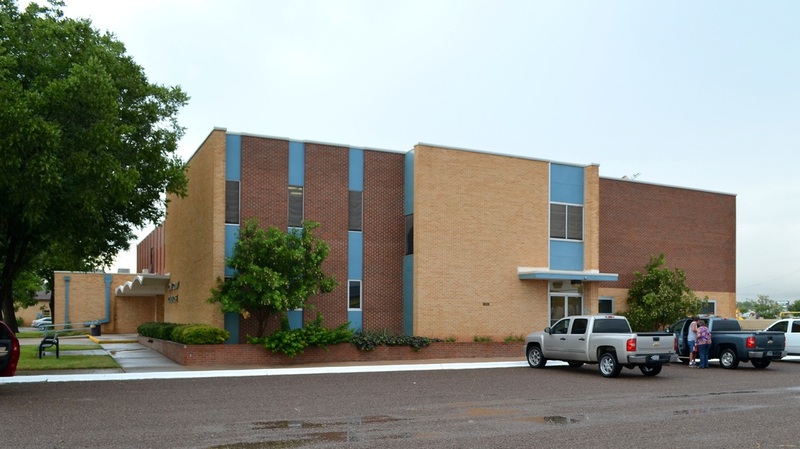 "Crane County was attached to Ector County for administrative purposes until 1927, but with (according to one estimate) 6,000 oil boomers in the area by that time, the county was ready for organization. 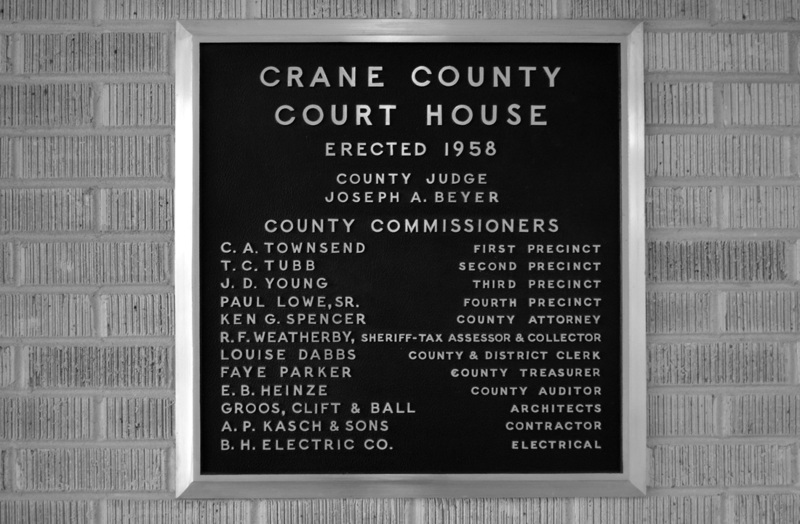 The town of Crane, bustling with as many as 4,500 fortune-seekers, was designated as the county seat, and citizens organized to build a courthouse. 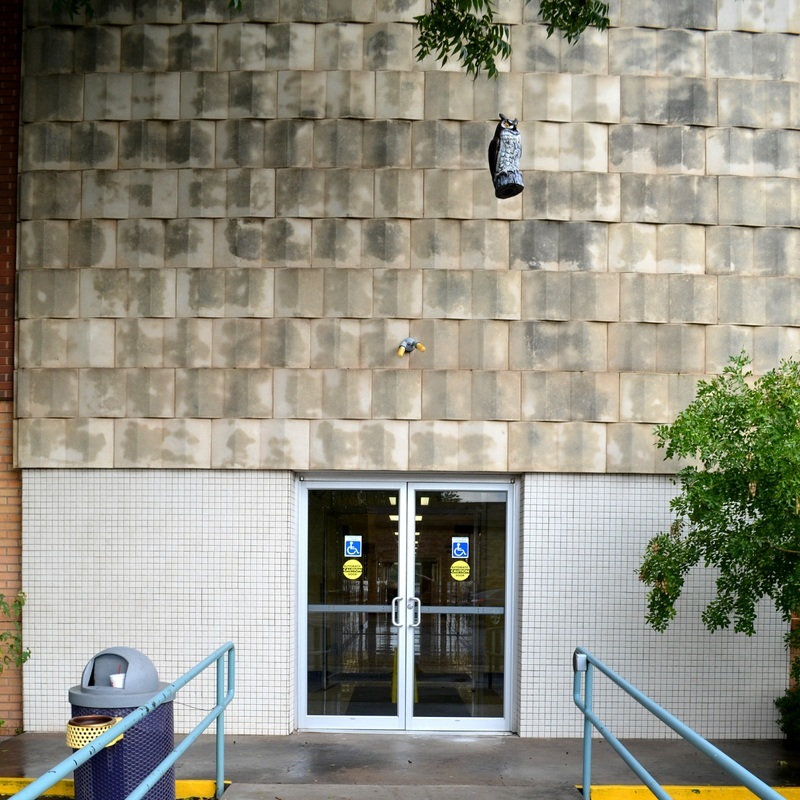 I visited Crane County and photographed the courthouse in Crane on July 27, 2012. 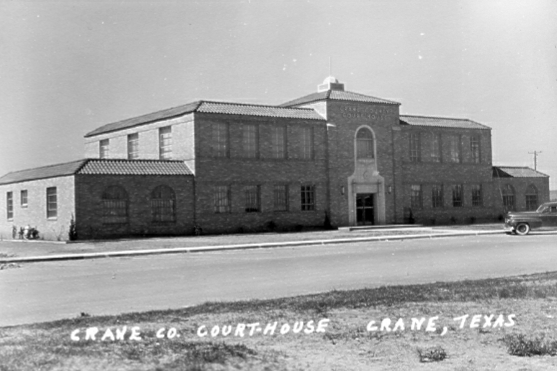 The 1927 courthouse is represented by this one photograph. Architect and builder unknown. 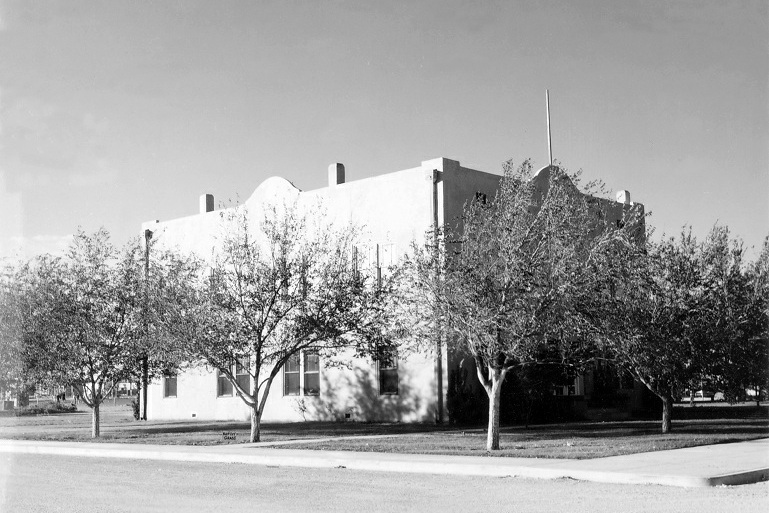 The 1948 courthouse, seen above, is also represented by a single photograph. Its buiding plaque, seen below in the current courthouse lobby, does not identify the architect or builder. 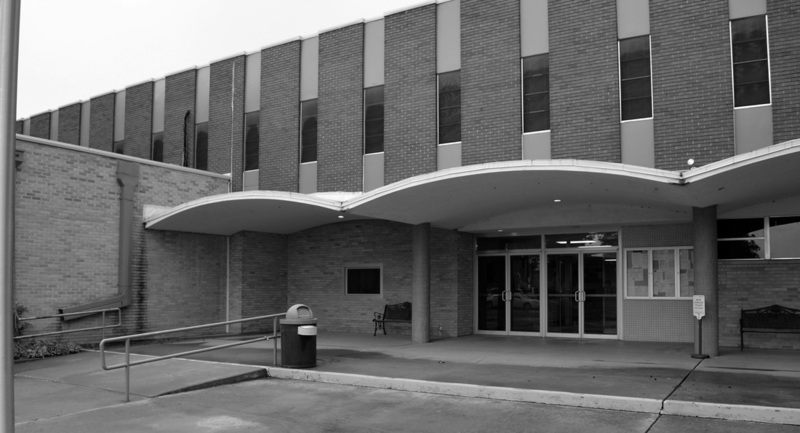 In 1958, a major remodeling of the 1948 courthouse resulted in a larger, modern building designed by Groos, Clift & Ball, Architects, Odessa and built by A. P. Kasch & Sons, Contractor.